What has changed in the last twenty-five years in the relationship of Poles with their dogs? 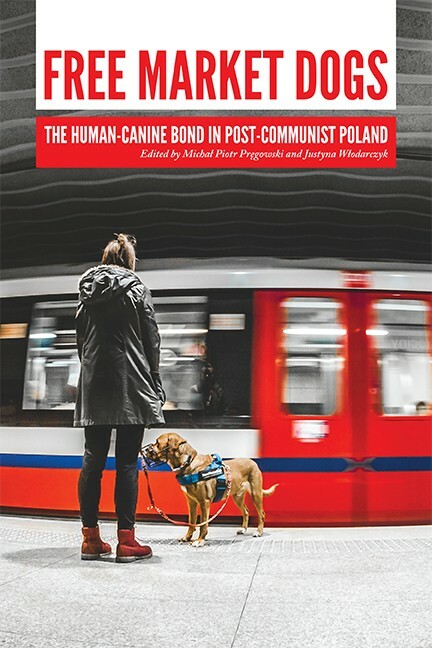 How have the free market and capitalism influenced Poland and the human-canine bond there? Are dogs “property,” “friends,” or “members of the family” in post-communist Poland? 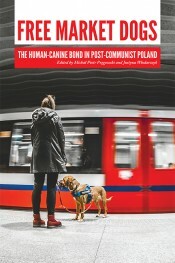 Free Market Dogs, edited by Michał Piotr Pręgowski and Justyna Włodarczyk, examines the interactions and relationships of dogs and humans in contemporary Polish culture and society, and explores how Poland’s intense exposure to Western—and particularly American—cultural patterns influenced the status of dogs after restoration of democracy in 1989. This book discusses topics such as the emergence of pet cemeteries, dog memoirs, and presidential dogs in Poland; the growing popularity of dog sports and the feminization of said sports; the philosophical and ideological changes in dog training caused by exposure to state-of-the-art methods from American books and videos; dogs in contemporary Polish art; and the specificity and growing pains of local pet-facilitated therapy. Free Market Dogs was written by researchers and practitioners whose academic background includes sociology, anthropology, pedagogy, cultural studies, and literary studies, and whose practical experience involves either training dogs or working with them. Based on thorough research and personal expertise, this is a great book for anyone interested in human-canine relationships—and their similarities and differences—around the world. "The collapse of Soviet-era communism in Poland in 1989 ushered in not only democracy and free market capitalism but also a cultural revolution in people’s attitudes to, and relations with, Canis familiaris. Free Market Dogs provides a fascinating and nuanced account of what happens to a country when long-standing socioeconomic obstacles to dog keeping are suddenly removed." “How could such a human activity as the democratization of Poland have anything to do with dogs? In this deeply insightful volume, this question is answered in ways that illuminate not only the impact of political transformation on human lives, but also on our relationships with the more than human world. Free Market Dogs will be of broad interest to animal studies scholars exploring the varying ways that human and animal lives are entangled not just with each other, but with the social, political, and economic institutions that shape the ways we live." Michał Piotr Pręgowski received his PhD in sociology from the University of Warsaw in 2008 and works as an assistant professor at the Warsaw University of Technology. He also is a Fulbright grantee in the Fulbright Scholar-in-Residence Program. Pręgowski’s academic specialties are sociology of norms and values, and human-animal studies. His current research projects include social construction of dogs in the contemporary West, especially their naming and training, as well as social practices of commemorating companion animals. Justyna Włodarczyk received her PhD in American literature from the University of Warsaw. She currently works as an assistant professor at the Institute of English Studies at the University of Warsaw, where she teaches courses in literary theory and cultural studies. She is an alumnus of the Fulbright Program. Her current research project concerns the history of discourses of animal training read through a biopolitical framework.